The winners of the 2015 #48FILM Project short film competition are from around the world, with Italy’s CLARA capturing six of the top awards including Best Film. 48FILM Project Announces Winners for 2015 Competition. LOS ANGELES - Jan. 22, 2016 - PRLog -- The 48FILM Project is proud to announce the winners of the 2015 48FILM Project short film competition, which heralds a $100,000+ feature film production budget as it’s Grand Prize. Winners of the global competition will fly in to Hollywood to collect their awards and meet the esteemed jury of industry leaders and industry guests at the 2015 Award Ceremony and Screening taking place on Tuesday, February 9, 2016 at the internationally renowned Directors Guild of America (DGA). Films in Official Selection include entries from the USA, Canada, United Kingdom, Georgia, Spain and Italy. 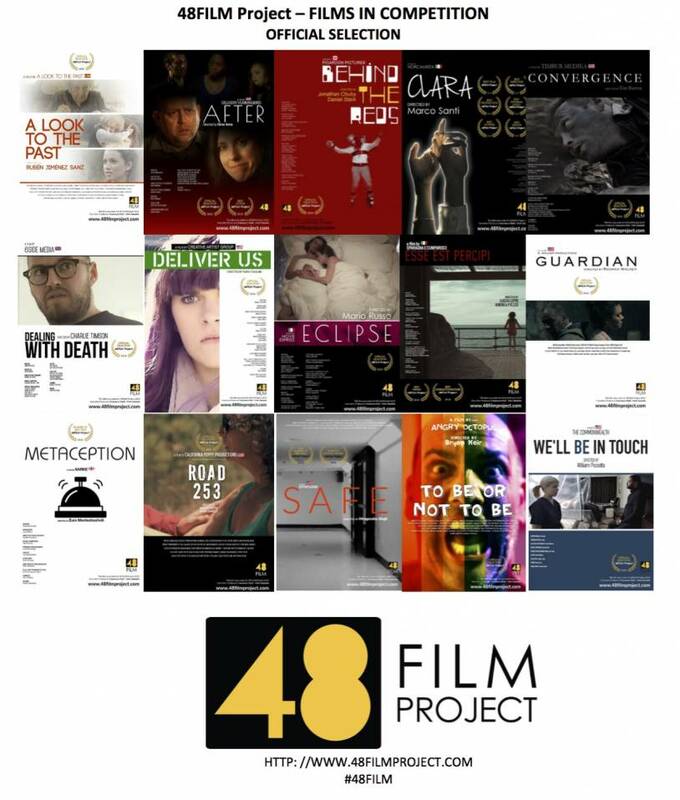 The #48FILM Project producers will be awarding the collective of winners (Best in each category) with a production budget of $100,000+ to make a feature film in the calendar year. Shooting will commence this Fall, with locations to be announced later in the year. Raven Banner Distribution will be reviewing for International Distribution. The 48FILM Project online festival is open to everyone: beginner to professional, from all nations. The competition opens in January and closes late November. Once registered, a competing team selects a genre and when to start the clock. 48FILM Project provides three (3) elements that are required to be included: a character, a line and a prop. Filmmakers then have forty eight (48) hours to create a short film in English or with English subtitles, four (4) to seven (7) minutes in length and upload it to https://www.48filmproject.com. Creators retain the rights to their own intellectual property. 48FILM Project Jurors are leading industry professionals, comprising experts in a wide range of skills and experience. This year's panel included: Daniel Alter (Producer “Hitman”, “Agent X”), Victoria Burrows (Casting Director for Zemeckis, Jackson & Spielberg “Hobbit” & LOTR trilogies; "The Walk”, “Polar Express”, “A Christmas Carol”, “Castaway"; "Adventures of Tin Tin”), Jennifer Champagne (Emmy winning Producer/VFX Producer “NCIS”, “Profiler”), James Fler (Distributor - partner Raven Banner, international distribution), Gregor Habsburg (Award winning Producer - "June", “Hellbenders”), HRH Princess Theodora of Greece and Denmark (aka Theodora Greece, award winning actor “Little Boy”, “June”, “Bold & Beautiful”(TV)), Michael Paszt (Distributor - partner Raven Banner, international distribution), TJ Scott (award winning Director “Gotham”, “Damien”, “Orphan Black”, “Spartacus”, “Longmire”), David Uslan (Producer/Executive Producer “T.H.U.N.D.E.R. Agents”, “Sabrina: Secrets of a Teenage Witch”). For more on the 48Film Project, the winning films or the 2015 Jury, please contact Popular Press Media Group, 48FILM@ppmg.info, or by phone +1-310-860-7774.